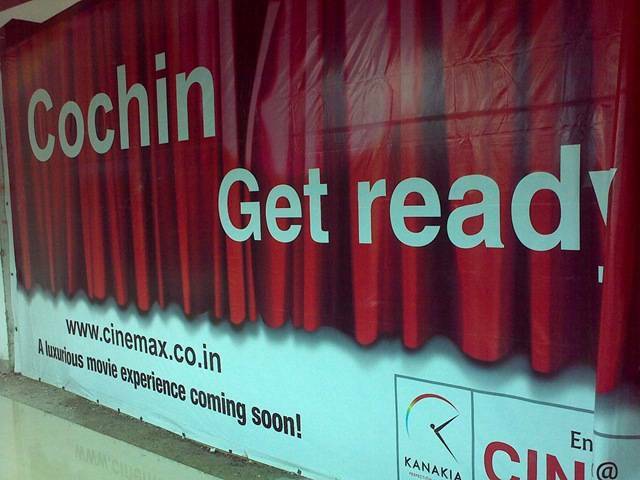 Kochi gets to be the gateway of Kerala where entertainment is concerned. The State’s first multiplex (Cinemax) is opening its doors wide to cinema lovers today, yes, at Oberon Mall. The city’s first big mall has opened part ially. Oberon Mall is right on the bypass, at Edappally. As you turn from the traffic signal at Edappally to the bypass, and drive ahead for a few minutes, its huge dome comes into view. It is a fourscreeen multiplex which can seat between 700 and 800 people. Ticket rates have not been fixed yet. Actor Prithviraj inaugurated the multiplex at 6.30 p.m. Today. After the ceremony the movie ’Thanthonni’, a Prithviraj starrer, screened. Apart from Prithviraj, other actors from the film also attended the inaugural function. Although the official inauguration will be held Thursday the regular shows will begin only from Friday. In the multiplex that has four screens has a total of 634 seats. Shows will begin from 10 a.m. There will be shows at 1 p.m, 7 p.m and 10 p.m. There will be a small time difference in the beginning of shows at the four screens. Although the exact ticket rates at the multiplex, that has two classes, are not known, there are hints that they will be over Rs 80.